Owning a car is a necessity nowadays and it is often considered the second most important asset after your house. When it comes to securing car finance with bad credit, many people are put off by technical jargon, over inflated payment plans or they simply don’t know where to start. From choosing the right kind of car that fits your budget to financing its purchase, we’re here to help simplify the process for you. While we offer loans to those with both good and bad credit history, there are still many ways that you can help improve your chances of securing the best deal possible. 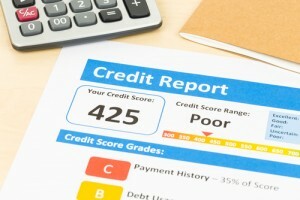 Your credit score is a vital factor which will ultimately decide the interest rate you will receive when you secure a car financing with bad credit. Many banks and car dealers will not accept your loan application if your score is negative; however, there are some bad credit car dealers who will agree to facilitate you with the help of our services. When seeking credit, it is important that you are aware of your personal credit score, so it is worth ordering a copy of your credit report prior to starting your search. Most people finance the purchase of their new car through the dealer, so if you proceed blindly without doing your research, you’re in for some trouble. It’s always recommended to have the loan secured before you go to the dealer. Here at Infinity Finance, we offer car financing for applicants with bad credit. Submit your application online or give us a call and receive a response within minutes. It is a widely known fact that despite the cost of buying a car going up, the vehicle itself will decrease in value from the moment it leaves the garage. With that in mind, your car finance deal should reflect the amount of time you expect to keep the car for! Remember, the longer the loan period, the lower the monthly payments will be, but you might be let paying off a loan for a car that you no longer have at the end of your deal. Life without a vehicle can be difficult when you rely on it to get you from A to B, and we’re here to help make sure you aren’t left without. For more information, please give us a call today on 0161 292 8200.